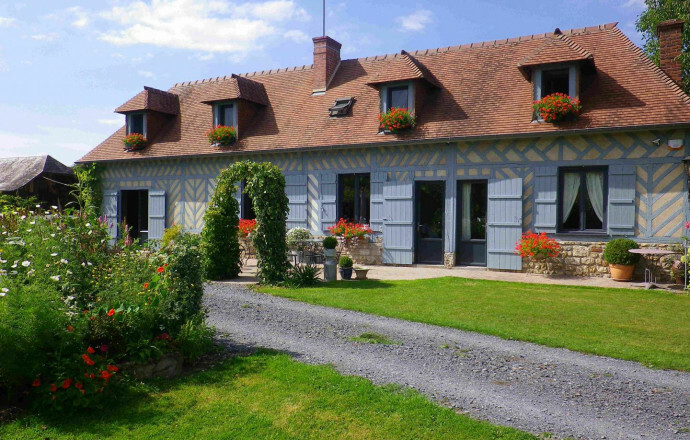 M. and Mme Bultey welcome you to their house with timber-framed walls, in a hamlet, 13 km from Honfleur. 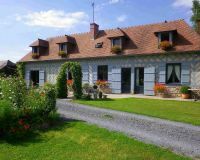 An active farm with chickens, sheep, cows and a large floral garden. 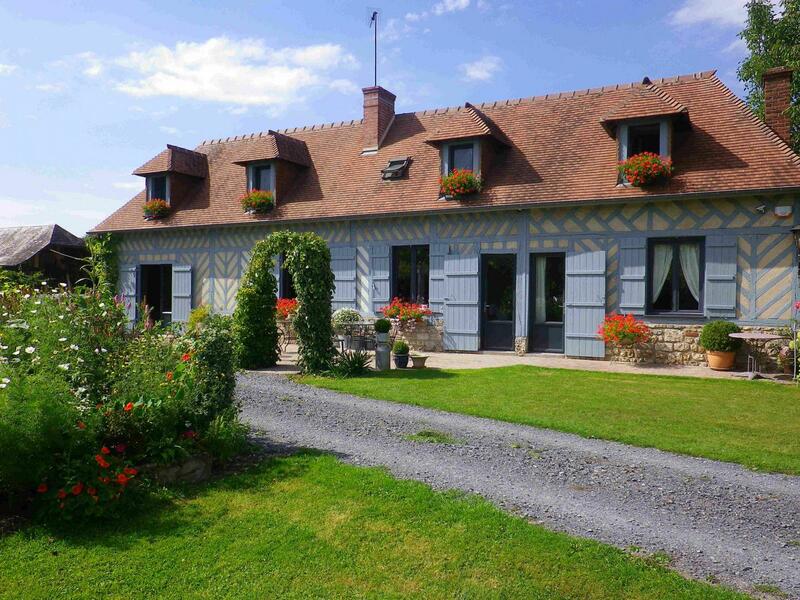 You'll appreciate the living room with fireplace, country atmosphere and refined decoration. 2 bedrooms on the ground floor with 1 double bed (extra bed on request). Shower room with private toilet. Payment by Pay pal is accepted.